Suna and I visited the Shanghai Expo last week, it was our last chance to go and see the country fair as a visitor besides the work or delegation visits we have made in the past. During the week we don’t have time so we went on a rainy sunday. “Who knows, maybe it’s not that busy now, people might stay inside with this weather? we’ll see”. 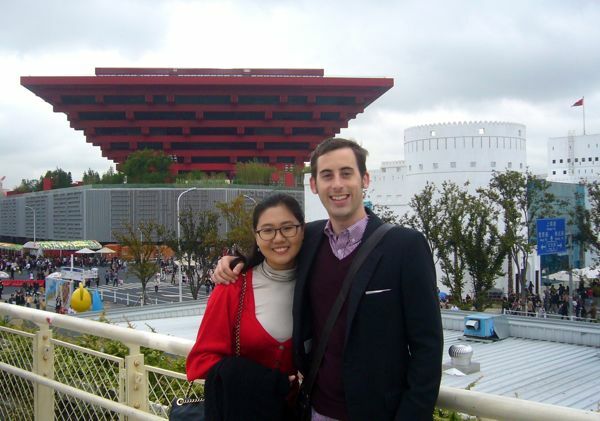 When living in Shanghai you can’t go around the expo, you can see the Shanghai expo mascotte ‘haibo’ everywhere so we felt we had to pay a final visit. When talking to friends outside China they don’t really know or care about the Expo. The Shanghai expo didn’t make much news in Europe either, besides some reports that the Chinese organizers would never reach the aimed 70 million visitors. However, on the day of our visit, the event passed this gigantic number of 70 million, we were there with 700.000 other visitors alone! So much for the ilusion it wouldn’t be crowded. We decided to go to go see Asian pavilions, for one, I heard that the Saudi Arabians are showcasing the biggest IMAX screen in the world. However, waiting lines were up to four hours – which is four hours too much if you ask me – and we decide to pass on the big screen. 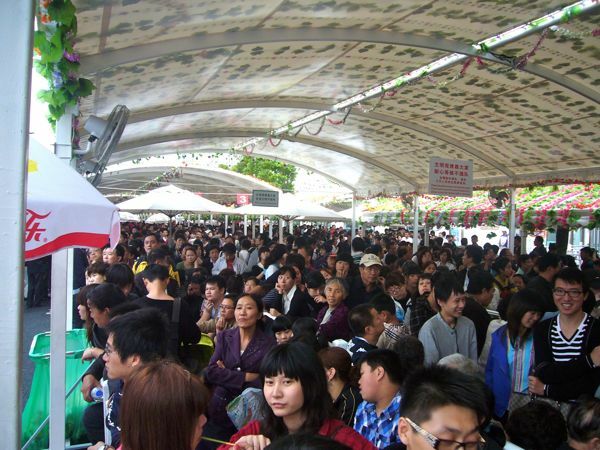 Then we realized most pavilions, Japan, South Korea had waiting lines for over four hours, and don’t even think of trying the China pavilion, the China pavilion is fully reserved until the end of the expo! So we went to the only pavilion we could find without a line, North Korea.